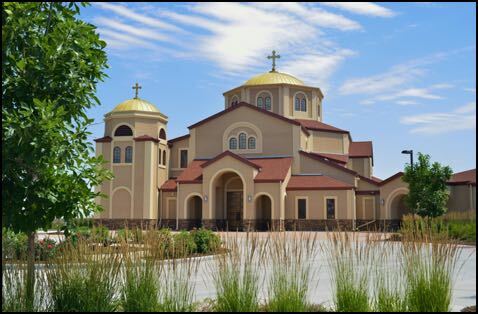 The mission of St. Luke Orthodox Christian Church is to be a beacon of Orthodox Christian spiritual life in Erie, eastern Boulder County, and the northern Denver metropolitan area. We strive together to live our Orthodox Christian Faith in a healthy way that forms Christian character, by participating regularly in the services, prayers, disciplines, and Sacraments of the Holy Orthodox Church. The community of St. Luke calls all people to Christ in His Church. We share the joy of Christ in our lives with those around us, educating people about the truth of this ancient faith in the Holy Trinity. We offer the love of Christ to those in need, in both word and action. We welcome you to visit our parish to experience and learn about us. Orthodox Christianity has remained faithful to its roots that go back to the churches established by the Apostles, in the Holy Land, Greece, and beyond. Our mother Church of Antioch was a major city mentioned in the Bible. The Orthodox Church humbly claims to be the same Church of Christ from those ancient times, the Church in all of the fullness that Christ established. If you have any questions, please feel free to call Fr. David or Fr. Stephan at 303-665-4013 or email one of them at: office@stlukeorthodox.org. They are happy to meet with inquirers. We invite you, also, to join us at one of our services or events listed.